Clearfield squares off against Johnstown in the District 5/6/8/9 Subregional semifinals Friday night at the Bison Sports Complex. This is the fifth time in six years that the Bison and the Trojans have met in the playoffs, with Clearfield winning each of the previous four matchups. The two teams also met in 1919 and 1924, both Johnstown wins (6-3 and 17-0, respectively). 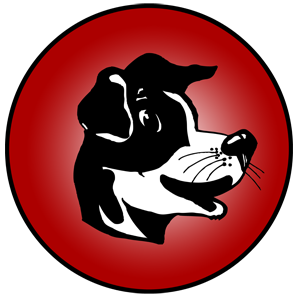 The Sentinels currently sit at 8-1 on the year and will play Northern – which is based in the wonderfully named Accident, MD – this week in the Maryland state playoffs. Fort Hill’s only loss this year was in Week 2, a 48-41 loss to Keyser (WV), the team Clearfield lost to in last year’s season-opener. The Sentinels are outscoring their opponents this year by an average of 43-16. Penns Valley finished another tough season, going 2-8. The Rams beat Bald Eagle (32-20) and P-O (26-7), but struggled defensively, giving up 40 or more points five times and allowing 75 points in a season-opening loss to Juniata. Penns Valley allowed over 36 points per game. The Scarlet Dragons enter this weekend as the top overall seed in District 6 AA and will face Forest Hills Friday night. Clearfield was Central’s only loss, and the 9-1 Dragons have outscored opponents this year by an average of 43-11. Removing its loss to the Bison, Central has averaged 46.8 points per game in its nine wins. The Bearcats enter the playoffs at 6-4 and will take on Tyrone this weekend in the first round of the D6 AA playoffs. Huntingdon is 4-2 since its loss to Clearfield on September 25th, and senior running back Jon Wagner has rushed for over 1,300 yards and 22 touchdowns this year. At 8-2, the Rovers will face Elk County Catholic in the first round of the D9 A playoffs Friday night. Brockway’s two losses came to Clearfield and Kane (21-14) in consecutive weeks. They are allowing just over 11 points per game in 2015. Bellefonte wrapped up its second-straight 3-7 season last week with a 43-7 win over rival Bald Eagle Area. The Red Raiders went 3-0 against Centre County teams and 0-7 against all others. Tyrone finished in third place in the Mountain League at 8-2, losing only to league champion Clearfield and 9-1 Central. The Golden Eagles will host Huntingdon Friday night in the first round of the D6 AA playoffs and are on a three-game winning streak, including one over AAAA Central Mountain. The Eagles finished 1-9, defeating only winless P-O by a 14-0 score. Offense was a big problem for Bald Eagle Area, as they averaged only 7.9 points per game. They also allowed 40 or more points six times. 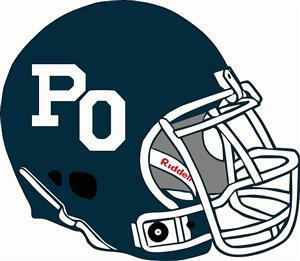 P-O ended its second-straight winless campaign with a 42-0 loss to Bellwood-Antis last week. Over the past three seasons, the Mounties are just 1-29. In 2015, they were outscored by a total of 415-58. Despite being just 3-6 in the regular season, the Chucks entered the D9 AAA playoffs and were hammered by the Bison last week. Punxsy beat Moniteau, Brookville and A-C Valley this season for its only wins. In their two season-ending games, the Chucks were outscored by Karns City and Clearfield by a combined score of 118-14. Counting last week’s win over Punxsutawney in the District 9 AAA championship game, Clearfield is now 24-23 all-time in playoff games. The Bison now have at least 9 wins in 7 of its past 8 seasons. A win Friday would give Clearfield its sixth 10 win season during that span and 12th overall. Trojans quarterback Jeremy Updyke has passed for over 2,100 yards and 19 touchdowns this season. For his career, Updyke has thrown for 5,233 yards and 52 touchdowns. Many of Updyke’s passes are thrown to junior Exree Loe, who has caught 46 passes for 904 yards and 8 touchdowns this season. 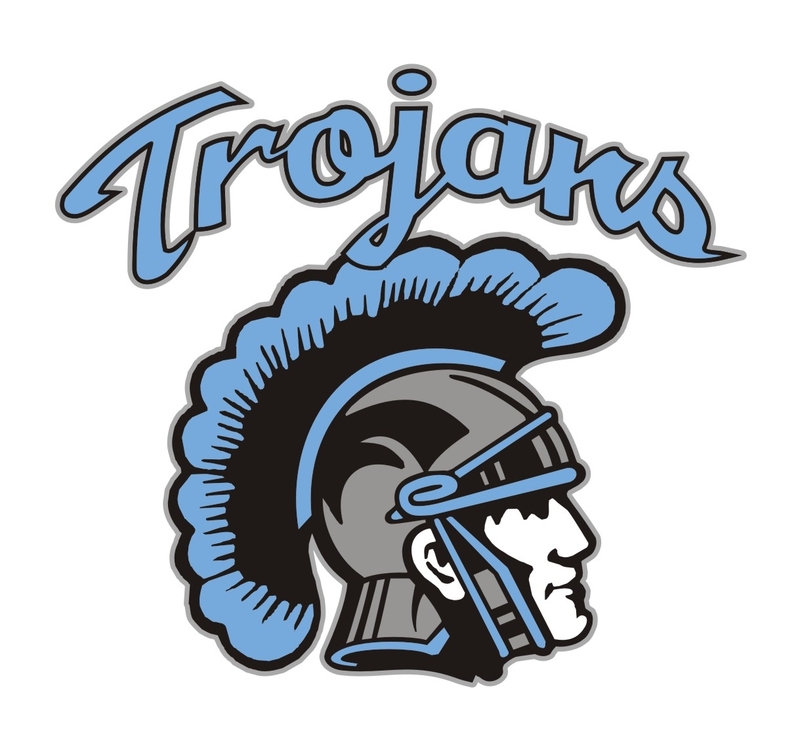 Johnstown and Clearfield have no common opponents, but the Trojans have played the Subregional’s second-seeded team, Somerset. The Eagles edged Johnstown by a score of 12-7 on October 2nd. The Trojans have lost three of their last four games, but many games have been close. Three of Johnstown’s five losses have come by a combined 10 points and another loss came to defending Class A state champion Bishop Guilfoyle. Last week’s 21-18 loss to Cambria Heights assured Johnstown the 4th seed in the Subregional; a win would’ve moved them up to the 3rd seed. With 2,226 career passing yards, Bison quarterback Cody Spaid is just 70 yards behind Jeff Kavelak (1984-86) for 11th in program history. Kavelak graduated as Clearfield’s all-time leader in passing yards. The Bison have six players who have rushed for at least 100 yards this season. Seth Caldwell’s 3,088 career rushing yards put him just 32 yards behind Isiah Morgan (2006-08) for fourth all-time. With 529 career carries, Caldwell is already just 57 behind Christian Lezzer’s school record of 586. Junior Matt Collins extended his own school record to 144 tackles this season in last week’s win. Senior Christian Rumery now has 107, marking just the second time since 1993 that two Bison have had over 100 tackles in the same season. Beau Swales (115) and Robbie Myers (107) did so in 2011. Johnstown’s all-time record is 644-405-56. 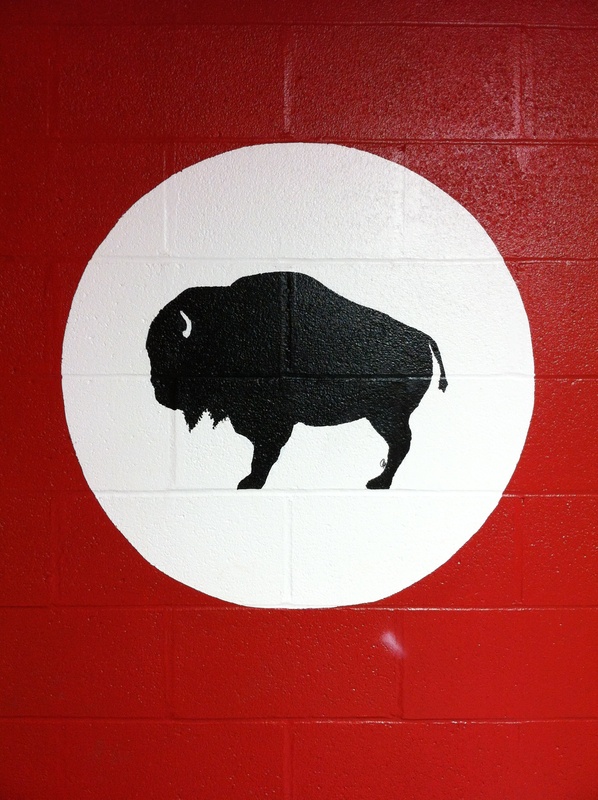 The Bison currently stand at 565-461-38. Friday’s District 9 AAA championship game will feature Clearfield and Punxsutawney in the 91st meeting between the two schools. The Bison own a 44-43-3 all-time edge in the series, which dates back to 1924. In last year’s D9 title, Clearfield beat Punxsy, 35-8, on its way to its fifth straight championship. The last team to win a D9-AAA title was Punxsutawney, which did so in 2009 by virtue of a 34-28 win over the Bison. A win Friday would give Clearfield its sixth consecutive district championship and its 14th overall. Somerset (830 pts) – The Eagles are currently the second-seed and sit 130 points behind Clearfield. They face undefeated and state-ranked Bishop Guilfoyle Friday; they would pass the Bison for the top seed with a win and a Clearfield loss to Punxsutawney. They cannot fall lower than the second seed no matter what happens Friday night. 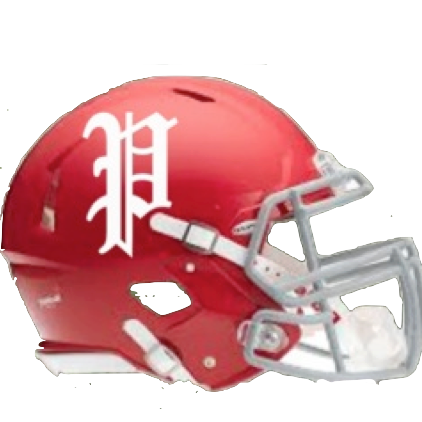 University Prep (520 pts), Johnstown (480 pts) – University Prep fell to Brashear, 7-6, last week in the City League playoffs and does not have a game scheduled for this week. Deciding the third and fourth spots in the subregional will fall solely on Friday’s Johnstown vs. Cambria Heights game. A win by Johnstown means University Prep will play at Clearfield next weekend, barring the unlikely scenario of both a Somerset win and a Bison loss. A loss by the Trojans sends them to Hyde, instead. Whoever ends up with the third seed will most likely play at Somerset. Johnstown enters the game 5-4, while Cambria Heights is 4-5. Punxsutawney is currently riding a three-game skid that has seen them get shutout by St. Marys and then allow 109 total points in losses to Clarion-Limestone and Karns City. On the season, the Chucks have been outscored by an average of 28.7 to 19.0. Friday’s game wasn’t set in stone until a little over a week ago when the Chucks confirmed that they would participate in the tournament. With only three teams in D9-AAA and Bradford owning just one win this year, it was unclear whether the district would have a championship game this year. That, coupled with the fact that the game has no real bearing on the state postseason, cast Friday’s game in doubt to some extent. The Chucks are led by senior quarterback Ryan Jones, who has thrown for 1,267 yards and rushed for 393 more. No other Punxsutawney player has eclipsed 200 yards rushing this season. Jones has a hand in 13 of the Chucks’ 23 offensive touchdowns this season and has intercepted 3 passes on defense. After finishing the 2015 regular season at 8-1, the Bison have won 56 of their last 60 regular season games (93%) dating back to midway through the 2009 season. Clearfield now has 334 points scored this season, giving them the 12th highest single-season total in school history. Friday’s 56-17 win over Philipsburg-Osceola was the 7th time a Bison team had scored exactly 56 points in a game. Four of those occurrences have come against P-O. With his 8 tackles against P-O, Matt Collins now has the school’s all-time record for tackles in a season. He currently has 132 with at least two games left to play. Seth Caldwell now has 515 career rush attempts, making him the fourth player in school history to have at least 500 (Christian Lezzer, Dave Richards, Isiah Morgan). Caldwell currently has 2,905 career rushing yards, putting him just 95 away from becoming the 5th player in Clearfield history with at least 3,000. Ryan Lezzer is now tied for 11th with Todd Shaw (1999-2002) with 70 career receptions. His 1,308 receiving yards rank 9th and his 16 career receiving touchdowns put him in a four-way tie for sixth place. Cody Spaid is just three passing yards away from tying Christian Lezzer (2010-2013) for 12th in career passing yards. His 24 career touchdown passes tie him with Tanner Kelly (2001-2004) for 10th. A win over Punxsutawney on Friday would give Clearfield its sixth-straight season of at least 9 wins. Check out more info on this game via the D9Sports.com preview. In lieu of a write-up this week, this preview will include links to PDF files of old game stories featuring the series history of the Bison and the Mounties. Clearfield first played Philipsburg-Osceola in its present form in 1956, going 32-23 in the series. However, the Bison first played Philipsburg High School in 1909 and Osceola Mills High School in 1914. Overall, Clearfield has played the three schools that have historically comprised P-O a total of 109 times; the Bison have a record of 64-41-4 in those games. Bill Shepherd – the only Bison to ever play in the NFL – had one of the great forgotten games in school history against Philipsburg High School in 1929. Even though he didn’t play until the second quarter, Shepherd scored 6 touchdowns and added 5 extra points, giving him 41 of Clearfield’s 47 points. Shepherd’s 41 points still rank second all-time in school history, trailing only Dave Richards’ 42 points (on 7 touchdowns) against Bald Eagle Area in 2002. The Bison outgained PHS 347-122 as part of its 10-1-1 season that saw Clearfield fall in the PIAA championship game. In the season opener, Bison Tom Krolick ran over Osceola Mills, rushing for more than 200 yards. While complete stats for his night were not published, the five runs mentioned in the game story had Krolick running for 208 yards, making him the first Bison to “officially” break the 200-yard mark in a single game. Other Bison almost certainly achieved the mark before Krolick, but those numbers have not been found. Led by Pat Davis, the Bison rushed 55 times for 315 yards and 4 touchdowns against the Mounties. Davis ran the ball 28 times for 215 yards and each Clearfield touchdown. He also scored a two-point conversion, giving him 26 of the Bison’s 27 points that night. Chad Kroell had many absurd stat lines throughout his career as a Bison, but few were as impressive as his game against P-O his senior year. He threw 7 touchdowns altogether, including 6 in the first half. He threw touchdown passes on 5 consecutive plays. He went 12 for 16 for 271 yards, meaning he threw more touchdown passes (7) than incompletions (4). Like Kroell, Dave Richards had no shortage of outstanding performances as a Bison. Against P-O in 2002, Richards ran 34 times for 325 yards and 5 touchdowns and added another score on a punt return. The punt return touchdown was remarkable for the fact that the Mounties punted away from Richards all night, even sending some kicks directly out-of-bounds. However, one errant punt made its way to Richards’ hands and he returned it for a touchdown. The Bison will play Punxsutawney next week for the District 9 AAA title. The date, time, and location are all TBA. As first noted by D9Sports.com, P-O has only scored 5 touchdowns in its last 7 games. The Mounties are averaging just 5.1 points per game but are allowing 39.6 ppg. Junior Matt Collins now has 124 tackles on the season, tying him for second all-time and putting him just two tackles away from breaking Seth Ford’s school record of 125. Sitting at 95 tackles, Christian Rumery can become the 9th Bison to reach 100 in a season since 1993. According to MaxPreps, Seth Caldwell eclipsed the 1,000 yard rushing mark last week and now has 1,004 for the season. He is the 26th Clearfield player to hit that mark. Following last week’s win over Bald Eagle, the Bison now have an all-time record of 563-461-38. In 2009, BEA beat the Bison 34-21; following that loss, Clearfield would begin a 58-game stretch in which they have gone 54-4 through last week’s win over Tyrone. The Eagles hammered Clearfield 52-6 in Week 3 of the 1991 season. The loss still stands as the 3rd largest for the Bison since 1937. In the first game of the series, BEA eked by Clearfield 13-12 even though the Bison rushed for 295 yards. Richards steamrolled the Eagles, rushing 16 times for 363 yards and 7 touchdowns. In the first half alone, Richards ran 12 times for 314 yards and 6 scores. For reference, Richards was just 11 yards from tying the school single-game record for rushing…at halftime. He had set that record himself against Philipsburg-Osceola the week before he ran over Bald Eagle. The game took place in a steady downpour, leaving the old grass field at the Bison Sports Complex an expanse of thick mud. A number of games during the 2002 season were played in wet weather, but that didn’t deter Richards from rushing for a still-standing school record 2,515 yards that season. Against Bald Eagle, Richards gained 224 yards on his touchdown runs alone while the Eagles gained 81 yards of total offense all game. By the end of the Bison’s 49-7 win, Richards had broken the school’s single-season rushing record following just the seventh game of the year. This year’s version of the Eagles have struggled offensively, scoring just 60 points in seven games. BEA has been shut out in three of its last four games. Following last week’s 34-17 win over Tyrone, Clearfield has all but wrapped up the Mountain League crown. Season-ending wins over Bald Eagle and Philipsburg-Osceola would clinch an outright title for the Bison. With 113 yards against the Eagles Friday night, junior running back Seth Caldwell would become the 26th Bison to reach 1,000 yards rushing in a single-season. Caldwell got close to the milestone in his freshman and sophomore years, rushing for 800 and 995 yards, respectively. Caldwell is also just four carries from becoming the fourth Bison to hit 500 for his career. Christian Lezzer (586), Richards (564), and Isiah Morgan (544) are the only other Clearfield players to surpass 500 carries. In last week’s win, senior quarterback Cody Spaid threw his 20th career touchdown pass, putting him 12th in school history. Bruce Graham (1987-89) sits in 11th place with 23 passing scores. Spaid is 112 passing yards from becoming the 13th Clearfield quarterback to reach 2,000 in his career. With his next reception, junior Ryan Lezzer will tie Jacque DeMatteo (1983-85) for 13th place on the career list, with 65. Lezzer passed the Bison’s former all-time leader in receptions – Matt Solomon (1990-92) – in career receiving yards last week and now has 1,175. He sits 11 yards behind Adam Jury (2004-06) for 11th place in career yards. Matt Collins became Clearfield’s 8th player since 1993 to record 100 tackles in a season. Now sitting at 105 for the year, he needs 21 to break Seth Ford’s record from 2013. Teammate Christian Rumery needs just 9 tackles to become the 9th Bison with a 100 tackle season. As the high school football season rolls into Week 7, Clearfield’s matchup with Tyrone on Friday carries a ton of importance. Not only is an outright Mountain League title likely on the line, but the Bison also have playoff seeding points to start thinking about. As of this week, Clearfield leads the District 5/6/8/9 Subregional with 550 points. Somerset (500), University Prep (440) and Johnstown (320) round out the top four, which is the number of teams that will qualify for the subregional. Punxsutawney sits in fifth place with 260 points, so the playoff field is far from set with three games to play. Clearfield faced Tyrone for the first time, but little is resolved as the two teams battle to a scoreless tie. It was the first of three ties in the series, with the others coming in 1950 (0-0) and 1976 (14-14). During Clearfield’s first 10-win season, they had to get by a tough Tyrone team that would finish the season 11-1. Clearfield won the game, 13-7, giving the Golden Eagles their only blemish of the year. Tyrone was beginning the first great stretch in school history, going 101-10-4 from 1939-48. From 1939 through 1943, the team would go 54-4-2. The 1940 team would tie Shenandoah, 0-0, for the state championship in 1940. The homestanding Golden Eagles gave Clearfield one of its toughest games in its 10-0 season, holding the Bison to a 6-0 halftime lead. Clearfield pulled away in the second half and won, 20-0, marking the team’s sixth shutout of a total of seven they’d have that year. Vic Jones ran 19 times for 139 yards and a touchdown, which was a relatively pedestrian game for the star who would run for 1,720 yards that year. On September 2, the Bison hosted Tyrone in the first game ever played at the Bison Sports Complex. Clearfield wins, 27-7, as Pat Davis ran 17 times for 113 yards and three touchdowns. The Golden Eagles did their best to help out the Bison, fumbling eight times and losing six of them. The win would be the first of many for Clearfield teams on “The Hill in Hyde City” – Clearfield is 89-21 at home since the start of the 1994 season and has gone 35-4 there since the start of 2008. In the two teams’ first meeting since 1991, the Golden Eagles came to the Bison Sports Complex ranked 4th in Class AA by the Pennsylvania Football News. Tyrone had won 35 consecutive regular-season games, but Clearfield pulled out a 35-34 win on its way to a 10-3 season. Isiah Morgan ran for 143 yards and two touchdowns and Jarrin Campman accounted for over 200 total yards and three touchdowns. The current three-game winning streak over the Golden Eagles has featured a number of memorable moments for Clearfield. In 2012, Clearfield used Christian Lezzer (34 carries, 154 yards, 2 TDs) and a stingy defense that held Tyrone to 155 total yards to knock off the Golden Eagles, 14-13, in Tyrone. The next year, Seth Ford blocked two extra points and Lezzer scored the game-winning touchdown with 41 seconds left, giving the Bison a 27-26 win. Last year, the Bison scored two touchdowns before Tyrone’s offense set foot on the field. Clearfield beat the undefeated Golden Eagles, 26-14, in Tyrone. Dustin Maines blocked a punt and recovered it for a touchdown to help give Clearfield a lead in the second quarter that they wouldn’t relinquish. Friday’s matchup will go a long way in determining the Mountain League champion for 2015. Clearfield is undefeated in the conference, while Tyrone and Central each have one loss. A win by the Bison this week followed by wins over Bald Eagle Area and Philipsburg-Osceola – who have combined for 1 win this season – would wrap up the title for Clearfield. The last three meetings between Tyrone and Clearfield have been close ones, but the Bison have won each (14-13, 27-26, 26-14). Clearfield is the first team to beat the Golden Eagles three years in a row since Huntingdon did so from 2001-03. Sad news for the Bison football family as former CHS standout Christian Lezzer has decided to end his football career following a string of concussions. Lezzer totaled nearly 4,800 yards from scrimmage and 74 total touchdowns in his career. While at Boston College, Lezzer played as a true freshman in last year’s upset win over USC, recording a sack in the game. Heading into Friday’s game, Tyrone quarterback Drew Hunter has thrown 16 touchdown passes without an interception on the season. Matt Collins is just 9 tackles away from becoming the 8th Bison to record 100 tackles in a season. Collins would join Seth Ford (2012) as the only juniors to do so since 1993. He has recorded at least 12 tackles in all but one game this season and ranks third in the state with 91 on the year. Christian Rumery is 9th with 81. Tyrone leads the all-time series, 34-29-3. In its history, Tyrone holds a 630-356-41 record, while Clearfield enters Friday’s game with a record of 561-461-38. Due to the big news out of Mechanicsburg yesterday, this preview will focus mostly on the PIAA’s sweeping change regarding football classifications. Plenty of information on Friday’s game at Bellefonte can be found in the Notes section, but first, a look at the implications of a six-class football classification system. It’s not hyperbole to say that yesterday may have been the biggest day in the PIAA’s 102-year history. Classifications were expanded for a number of sports, but the vote to bump football from four classes to six garnered the majority of the headlines. All of these changes will go into effect next school year, meaning schools (including Clearfield) will learn their new classification sometime around mid-November. Sweeping changes like this always take time to sort out and draw plenty of praise and criticism. However, the vote’s wide margin was somewhat unexpected; the only districts to vote “No” on classification expansion were the WPIAL (District 7) and the Pittsburgh City League (District 8). Supporters say it allows for more teams to compete for state championships by dropping the number of schools per class from about 145 to around 95 to 98. Some also laud the shortening of the season from 16 weeks to 15, ending the season earlier in December and overlapping less with winter sports. Those against the expansion say it waters down the state championship and increases travel between teams. What does it mean for Clearfield? The PIAA tries to divide classifications as evenly as possible to put the same number of schools in each class. If the Allentown Morning Call’s estimates shown above are accurate, the Bison would be near the bottom end of 4A. These cutoffs could still change, but it seems fairly likely that this will be the case. Teams will have until December to decide to play up a classification if they’d wish. One other potential impact to the Bison would be their route through the playoff bracket. It’s possible that Clearfield would be moved back into the western half depending on how the bracket is configured. The final drafts of the statewide brackets will be released later this winter. What does it mean for Clearfield’s opponents? Another point of the classification change is the optional replacement of a team’s second scrimmage for its first official game. Teams can elect to play two scrimmages and then nine regular season games, or one scrimmage and ten regular season games. It’s unclear what Clearfield would choose to do or who they would add to the schedule as a tenth game should they choose that route. Many details remain unclear regarding the enormous change enacted by the PIAA Wednesday. The details will be sorted out in the coming months, but it is certain that the landscape of Pennsylvania high school football has been permanently altered. The change has been divisive, leading to groups of fans who think the move was unnecessary and damages the prestige of a Pennsylvania state title and those who think it levels the playing field for teams who were outnumbered by hundreds of students in some games. It remains to be seen how the change will work in practice, but the state’s football structure that had been in place since the start of state playoffs in 1988 is about to be history. Friday night will be the 58th meeting between Clearfield and Bellefonte, making it the fifth-longest series in Bison program history. DuBois (103 games), Punxsutawney (90), Curwensville (87), and Tyrone (67 following this year’s game) are the only teams Clearfield has faced more often than the Red Raiders. The Bison hold a 31-25-1 advantage in the series. Check out D9Sports.com’s predictions for this week’s games here. First played in 1913, the Clearfield-Bellefonte series is the oldest of all of the Bison’s 2015 opponents. Clearfield is on a five-game winning streak over the Red Raiders. The Bison have outscored Bellefonte 217-33 over those five games. Clearfield’s last loss in the series came in 2007 by a score of 41-31. QB Cody Spaid: Currently has 1,679 career passing yards, putting him 167 yards behind Mike Merritt (1986-88) for 15th place. RB Seth Caldwell: Currently has 2,413 career rushing yards, 80 yards behind Stu Wiggins (1950-52) for 7th place. WR Ryan Lezzer: Currently has 1,086 career receiving yards, 79 yards behind Matt Solomon (1990-92) for 12th place. Linebackers Matt Collins and Christian Rumery continue to rack up tackles this season – Collins leads the team with 79 and Rumery has 71. Collins lost his spot as the state leader, but still ranks 3rd. Rumery checks in at 9th. Bison wearing headgear? An awesome dog? Two great logos. But let’s get back to this week’s game. Clearfield and Brockway have played only twice all-time: a 24-21 Rover win in 2006 and a 28-17 win for the Bison last season. The unfamiliarity the two schools share with one another extends to their schedules, even though Clearfield and Brockway are less than 40 miles apart. Brockway, a Class A school with a male enrollment of 142 (per the PIAA), plays in the Allegheny Mountain League, which is comprised of District 9 teams across the north-central part of the state. Clearfield, meanwhile, is a AAA school (319 males) that competes as the only District 9 team in the mostly D6 Mountain League. So far, the Rovers have dominated their four opponents. Smethport (56-0), Coudersport (50-14), Cameron County (54-0), and Otto-Eldred (42-7) have all fallen to Brockway. The Rovers and Bison share no common opponents; in fact, Clearfield has never played any of the four teams Brockway has faced so far in 2015. However, the Rovers are a very strong team that enters Week 5 ranked 10th in Class A by Pennsylvania Football News and as a “Team to Watch” by the Harrisburg Patriot-News. Additionally, Brockway sits one spot ahead of Clearfield in the D9Sports.com district-wide rankings, as the two schools trail first-place Karns City. After decades of playing Punxsutawney and Brookville, Friday’s game will be the first time the Bison travel to Jefferson County in the regular season since Week 4 of 2007 (a 42-7 win at Punxsy). The Rovers’ leading rusher is Tony Isabella, who has rushed for 520 yards and 9 touchdowns this season. However, D9Sports.com reports that Isabella may not play Friday due to an injury sustained in last week’s game. In last year’s matchup, the Bison held Brockway to just 24 yards rushing on 22 carries. The Rovers were efficient through the air, going 18 for 25 and 167 yards passing. Clearfield led in total yards, 327-191. Also in last year’s game, Rover Jarrett Esposito made a 47-yard field goal, which appears to be the longest field goal ever made in a game against the Bison. For comparison, the longest field goal made by a Clearfield player since 1993 is 37 yards by Spencer Herrington against Tyrone in 2013. Clearfield kicking statistics for years before 1993 are still being compiled. Junior Matt Collins leads the Bison with 71 tackles this year. According to MaxPreps, he also leads the state of Pennsylvania. Christian Rumery ranks 7th statewide with 61 stops. Rumery has 124 career tackles while Collins has 94. With 89 yards passing against Huntingdon, Bison quarterback Cody Spaid became Clearfield’s 16th player with at least 1,500 career passing yards. Spaid now has 1,557 for his career. Junior Seth Caldwell currently sits at 11th on the school’s career rushing yard list. Caldwell’s 2,290 yards are 1 behind Jimmy Lewis (1995-1998), 2 behind Derek Morgan (2007-2010), and 23 behind Kenny Wisor (1996-1998). Twenty four yards against Brockway would put Caldwell in 8th place. Clearfield enters Friday’s game with an all-time record of 559-461-38. Brockway sits at 453-356-37. All-time records for all schools in Pennsylvania entering the 2015 season can be found here.